What is a Chef Hat? Though the exact style worn may vary, chef hats are part of the uniform for working in a restaurant kitchen. 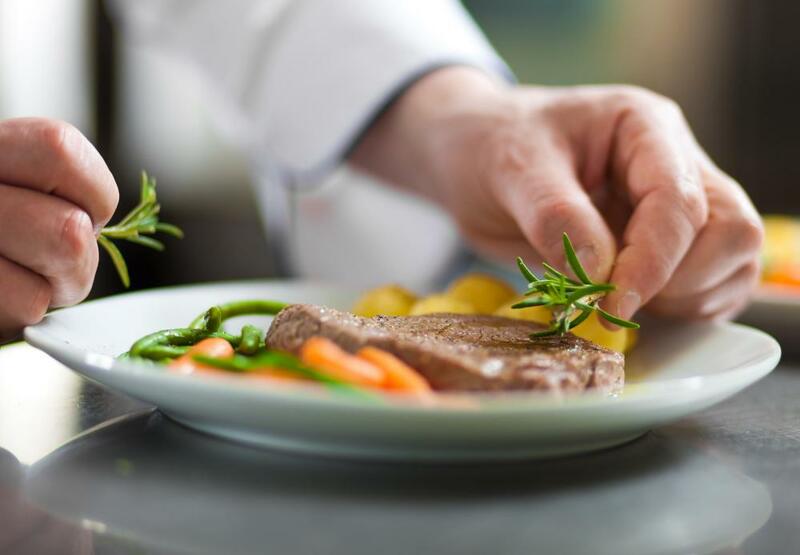 A chef is a skilled professional cook who is trained and experienced in the culinary arts. One story about the origin of the chef hat stems from King Henry VIII, who beheaded a chef when a hair was found in his soup. A toque blanche is the most popular type of chef's hat worn around the world. Traditional chef's hats have exactly 100 pleats. 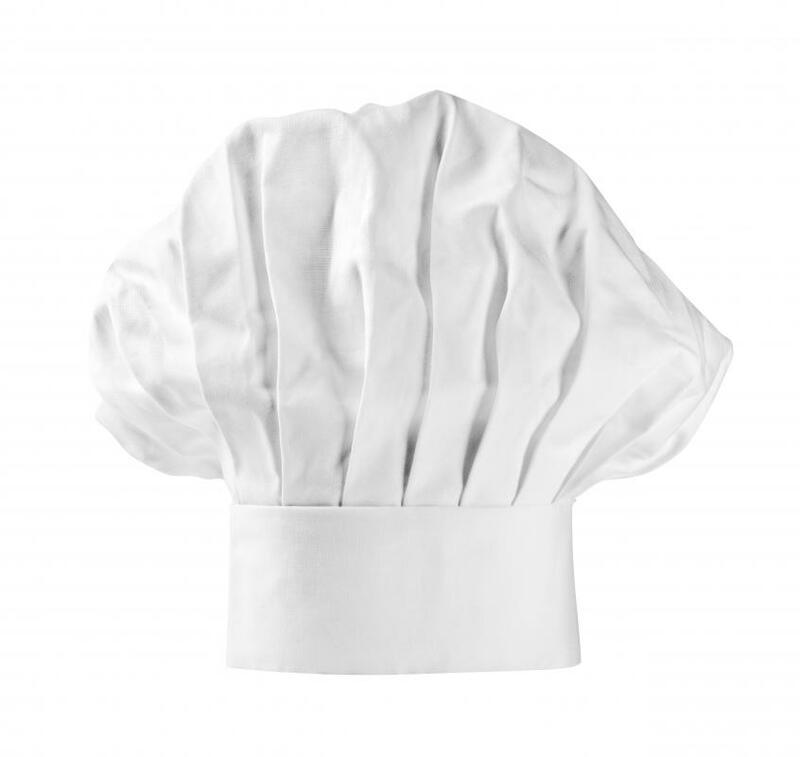 A chef hat, also sometimes referred to as a toque-blanche, is part of a chef's uniform. The brimless hat covers the entire head of hair to eliminate any stray hair from falling into the dishes being prepared. Traditionally, this type of hat is quite tall, from 9 to 12" (228-305mm), which has vertical pleats that run around the body. Made of either stiffly starched fabric, mostly cotton and cotton blends, or of paper, chef's hats come in either white or black. Several versions of the origin of the chef hat prevail. 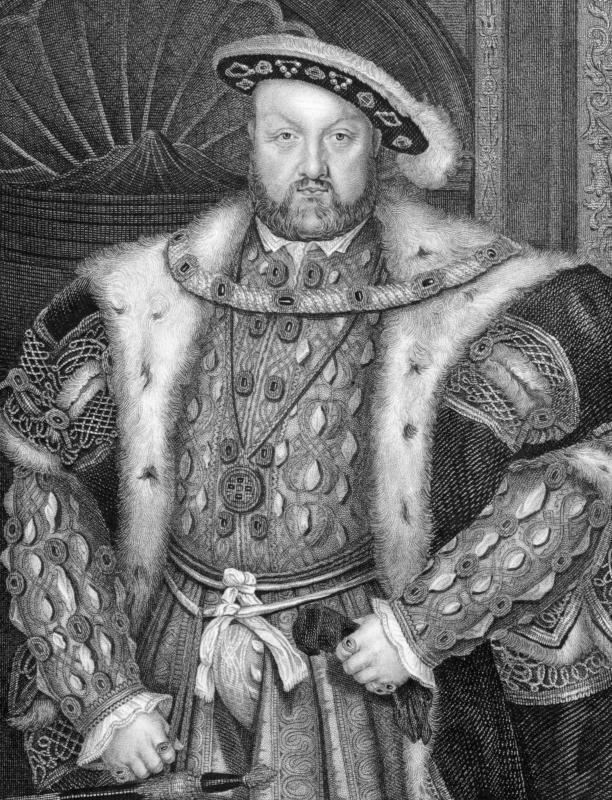 One story goes that the chef for King Henry VIII was going bald and was beheaded after the king found a hair in his soup. Henceforth, all royals chefs were required to wear a hat. Another tale states the chef hat came about during the time of the ancient Assyrians. Because a common method of the day for overthrowing an unpopular monarch was to poison him, only the most loyal and trusted men were allowed to become court chefs. As acknowledgement of their lofty position, chefs were allowed to wear a crown of sorts. Fashioned after the style of crown the king wore, the ribs on the side of the king's crown were depicted by pleats on the crowns of the chefs. Traditional versions of this hat always include one hundred pleats. In keeping with the Assyrian hat theory, it is said that the reason a chef hat had one hundred pleats is because a master chef knew how to prepare eggs one hundred different ways. In that time and part of the world, eggs were considered to be symbol for the universe, and as such were highly regarded. In today's world, not all chef hats have one hundred pleats. 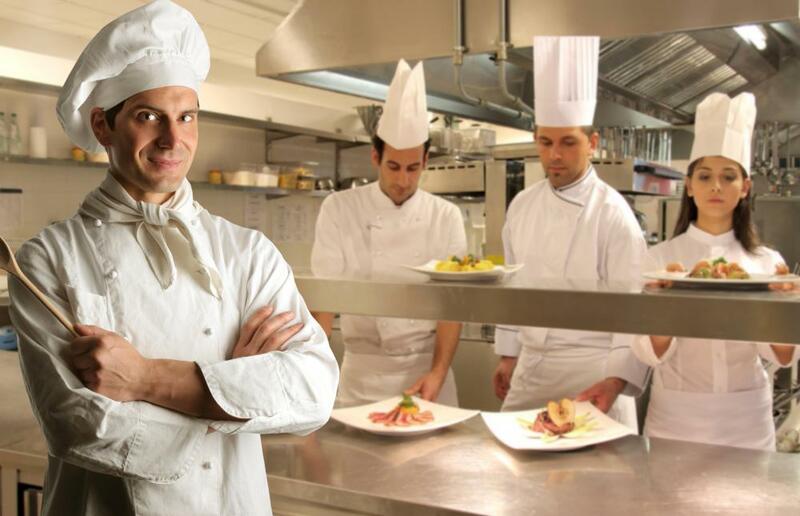 Chefs may wear all kinds of hats, from baseball caps to poufy pizza maker types, but most continue to wear some form of hat for hygienic reasons. 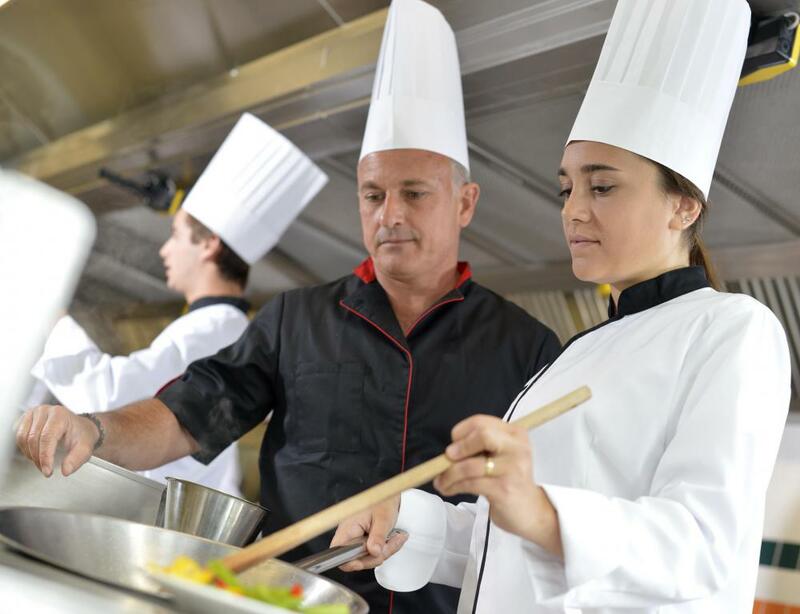 A chef hat is part of the accepted uniform in a restaurant kitchen, but others buy one as part of a costume, or for having a little fun at a backyard barbecue. If you are shopping for one, you can find one at uniform shops, restaurant supply stores, online cooking sites, or at cooking retail shops. How Do I Choose the Best Pork Pie Hat? How Do I Make a Paper Chef Hat? What Are the Different Types of Chef Hats? How Do I Choose the Best Chef Hats for Kids? What Are the Different Types of Kitchen Shoes? How Do I Make a Paper Hat? What is a Pilgrim Hat? The Crownon Hat was originally used to determine rank of the Kitchen as are the color of the hat itself. The hats were originally Brought into the kitchen for not only sanitary use but also to show your knowledge in the kitchen and in some Middle age beliefs It showed that You worked for the Court or the royalty and that you were trusted not to position the royalty. And I would like to point out that we receive our High collared Jackets from Priest as do we our hats and Pants. Along time ago we hid from the scrutiny because we were consider free thinkers and well we had to hide so we did with the priest and then we too on there uniform to help us stay under cover. What is the etiquette for the inches of crownon a chef's hat? I was under the impression they were allowed 1" of crown for each so many years of service. If this is an obsolete tradition I'll bet a lot of master chefs are angry.